Vintage inspired, this intricately detailed silver locket features a pretty floral centre, set with a glistening cubic zirconia stone. A simple chain link necklace completes a statement look. 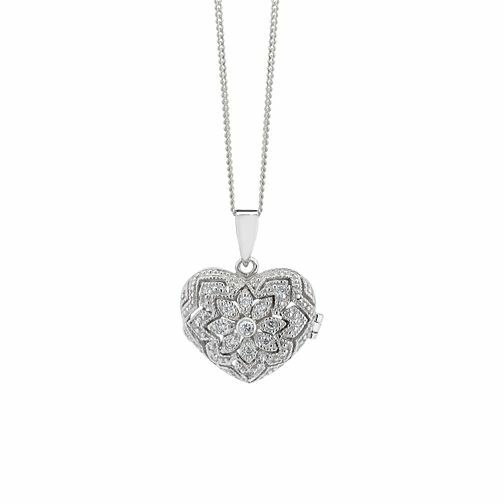 Silver & cubic zirconia vintage locket is rated 4.9 out of 5 by 8. Rated 5 out of 5 by Anonymous from Stunning A beautiful necklace and looks fab one....I’ve have had lots Of compliments on how pretty it is.